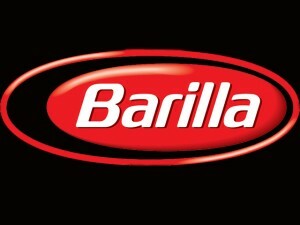 Barilla Group is a family owned food processing company based in Parma, Italy. The company is well known for its pasta brand around the world. Apart from pasta, it also manufactures sauces and bakery products and exports them to around 150 countries. The history of Barilla Group traces back to 1877 when Pietro Barilla Sr. started a bread and pasta business in Parma, Italy. He had good experience in the field as he was working as an apprentice in his grandfather’s bakery during that time. In 1910, he introduced a new brand, Barilla Baker Boy. The brand was designed by Emilio Trombara. The same year, the ownership of the company was handed over to Riccardo and Gualtiero. They were the sons of the founder, Pietro Barilla Sr. After that, the company started its expansion to other parts outside Parma. A new manufacturing plant was built for the production of pasta and bread, and it had 80 employees. The demand was so high that the facility produced 80 tons of bread and pasta a day. Another factory for the production of pasta was also opened in Veneto. The facility had the modern equipment for production including a continuous oven, which they bought from a manufacturer in Germany. This enabled the company to increase its production considerably. In 1936, the two brothers purchased more machinery to increase its production. A press kneader was also installed in the factory. By 1937, more equipment was added. The company also introduced phosphorus rich pasta called Fosfina pasta. The same year, it introduced gluten rich pasta for kids. Riccardo died in 1947, leaving the company to his sons, Pietro and Gianni. The brothers decided to export the products to the USA after a visit to the country in 1950. The company discontinued the manufacturing of bakery products in 1952, and decided to focus on pasta production and its distribution. In1965, they built another manufacturing plant in Rubbiano. The year 1968 saw the opening of another factory in Pedrignano. In 1971, it was acquired by Grace, a multinational company in the U.S. The company bought a factory with more production facilities in 1974. It introduced Mulino Bianco in 1975. The next year Pietro Barilla regained ownership of the company. During the 1990s, the company expanded to other countries. The company’s expansion became more widespread by the acquisition of the two major brands, Harry’s and Kamps. Over the next few years, more brands were added to its product line. Gay rights advocates are calling for a boycott of Barilla, the world’s leading pasta maker, after it’s chairman said he would never feature a gay couple in his advertisements.